A ZOTZ! 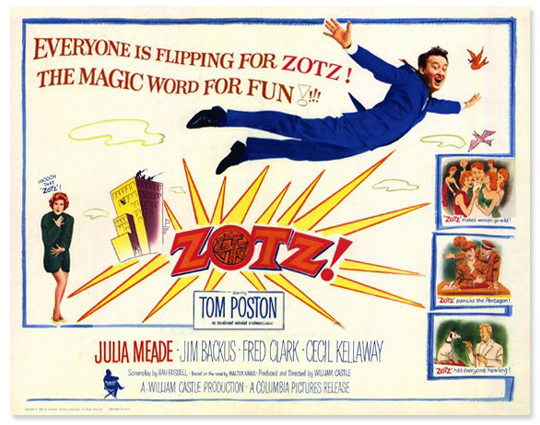 lobby card showing Julia on the left with the words "ooooh that ZOTZ!" 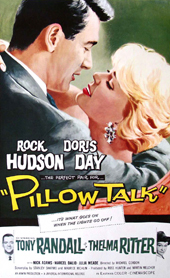 Julia Meade starred in her first movie in 1959 in the romantic comedy Pillow Talk. 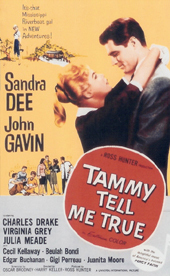 She has made five movies to date, including Tammy Tell Me True and ZOTZ!. In 1988 she appeared in a made for TV movie, My First Love, which starred her good friend Beatrice Arthur, and in 1990 she is credited as a 'Moderator' in the Harrison Ford thriller Presumed Innocent. Her scenes were cut from the finished movie, however, in the scene where Greta Scacchi is being interviewed and Harrison Ford is watching TV, you can hear Julia's voice as the interviewer. It would be great to see a 'director's cut' that includes her scenes (a suggestion to director Alan J. Pakula!). 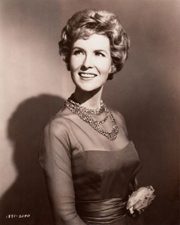 Julia in a publicity still from Pillow Talk, 1959. Julia and Rock Hudson in a publicity still from Pillow Talk, 1959. Julia's invite to her Oscar party in New York City, 1958.